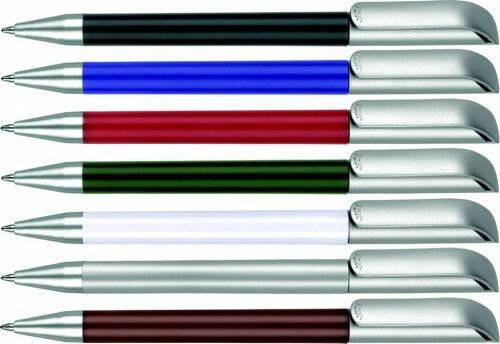 Attractive twist-action ballpen with silver satin trim. Available in six popular colours. Price includes a one colour print in one position only. Extra print colours / positions available at extra cost. Please contact us for details.